Like all firmware updates certain hardware can take a time before they get to see the new operating system and that can certainly be said about the Android Jelly Bean update and the Samsung Galaxy Ace 2 that has now reached the UK. The company begun the rollout of the new firmware back in April and then followed this up earlier this month with the update for the GT-I8160P version of the Galaxy Ace 2. 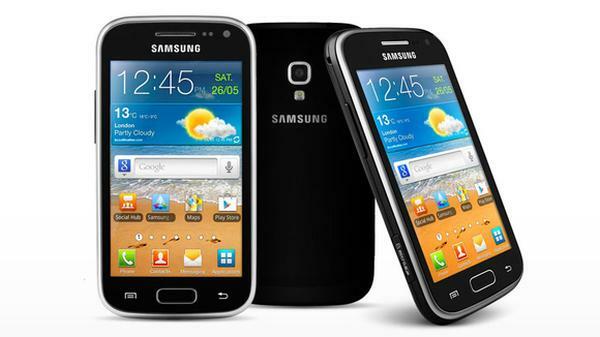 Now UK owners of the GT-18160 Samsung Galaxy Ace 2 have begun receiving the Android 4.1.2 Jelly Bean update via the Samsung KIES desktop application. This new update besides all the Android enhancements also brings the improved Samsung TouchWiz Nature UX overlay that was first seen on the Galaxy S3. Other improvements include the likes of Google Now, smoother faster experience thanks to Project Butter, and much more. Android Jelly Bean will also bring a whole new lease of life to the smartphone at a time when rumours and speculation is mounting that the company is about to announce the Samsung Galaxy Ace 3. This may happen at the press event the company is holding in London unless it follows the same route it did earlier today with the announcement of the Samsung Galaxy S4 Mini. Have you got the Android Jelly Bean update on your Galaxy Ace 2? Try a factory (hard) reset. This helped resolve a few issues after I upgraded from Gingerbread to Jelly Bean. Don’t forget to back up all your data, including any vital info such as contacts, messages etc. first as you’ll need to restore these later. Have a search around on forums about this issue and procedures for hard reset. It looks pretty, but the phone is now awful. Everything is now terribly slow. It is painful to use the browser, slow to even open the dialer or email, typing a message is excruciating, and Facebook won’t even run at all. Factory reset has made a bit of an improvement, but still awful. This looks like a Samsung strategy to get you to go out and buy a new more powerful phone. Unfortunately I have to confirm thatthis update makes this phone completely unusable. One could think that 768 ram will suffice for jelly bean(minimum requirement 50) but performance of the phone is much slower than on gingerbread (and yes I did tried hard resetting it). When switching between apps is painfully slow games like fruit ninja will cause your phone to crash. It looks nicer but after two weeks of this ordeal I’m changing back to gingerbread. I agree. Poor performance on my ace 2 too. Awful update. Very close to stamping on the phone. It is so slow is a joke. Can it be reversed ???? ?